The beauty is in the details. And Rockstar Games isn't overlooking any in its upcoming release, Red Dead Redemption 2. The evidence? In the game, horse testicles will change size depending on the weather conditions. Yes, that's an actual feature in the game. Suffice to say, fans are impressed. They also have some questions. And they are also a little confused. 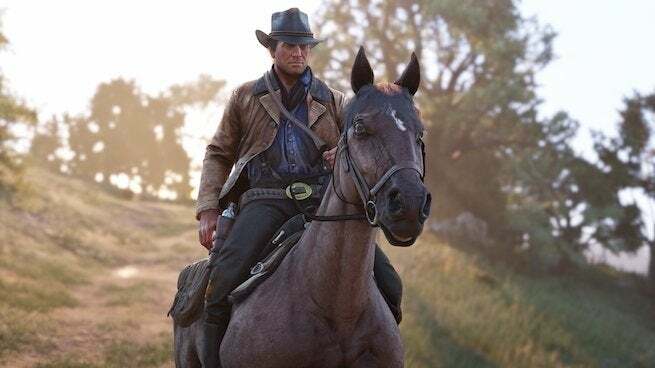 When it comes to horses in the game, dynamic testicle tech is just one of the many features Rockstar Games has added. In fact, horses, and how a player interacts with their horse, will have a meaty role in the player's journey. Dynamic horse testicle tech and dynamic horse pooping? Man, Rockstar is going all-out in pursuit of that game of the year trophy. And from the sounds of it, it will earn many. Red Dead Redemption 2 is poised to release on October 26 via the PlayStation 4 and Xbox One.